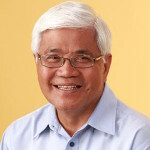 Antonio Meloto, known as “Tito Tony” to the countless Gawad Kalinga volunteers and community partners, was born on January 17, 1950 to a low middle class family in Bacolod City, Negros Occidental, Philippines. At a young age, he was already exposed to the squalid living conditions of the poor, his home being near a shoreline squatter community where poverty was already very pronounced. Tony’s natural acumen provided him the opportunity to be an American Field Service scholar, where he took his senior high school year in De Anza High School in Richmond, California. But his big break came when he qualified as a Full Academic Scholar of the Ateneo de Manila University. His college years were dedicated to preparing for a career that would take him and his family out of the poverty of his past. After he graduated in 1971 with a Bachelor of Arts degree in Economics, he was offered a position as the Purchasing Manager of Procter and Gamble. Eventually, he built his own name as an entrepreneur. It was during an assignment in Australia that he heard the call to start the work with the poor through a youth program in Bagong Silang, Caloocan City. Since it began in 1995, the program has now evolved to become Gawad Kalinga, a movement that builds integrated, holistic and sustainable communities in slum areas. Gawad Kalinga is now being implemented in almost 2,000 communities in the Philippines and in other developing countries such as Indonesia, Cambodia and Papua New Guinea.